Organic Synthesis: Strategy and Control is the long-awaited sequel to Stuart Warren’s bestsellerOrganic Synthesis: The Disconnection Approach, which looked at the planning behind the synthesis of compounds. 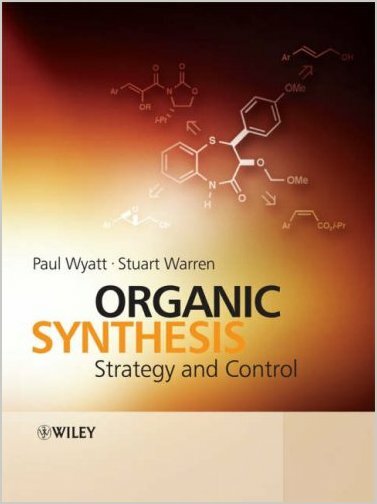 This unique book now provides a comprehensive, practical account of the key concepts involved in synthesising compounds and focuses on putting the planning into practice. The two themes of the book are strategy and control: solving problems either by finding an alternative strategy or by controlling any established strategy to make it work. The book is divided into five sections that deal with selectivity, carbon-carbon single bonds, carbon-carbon double bonds, stereochemistry and functional group strategy.